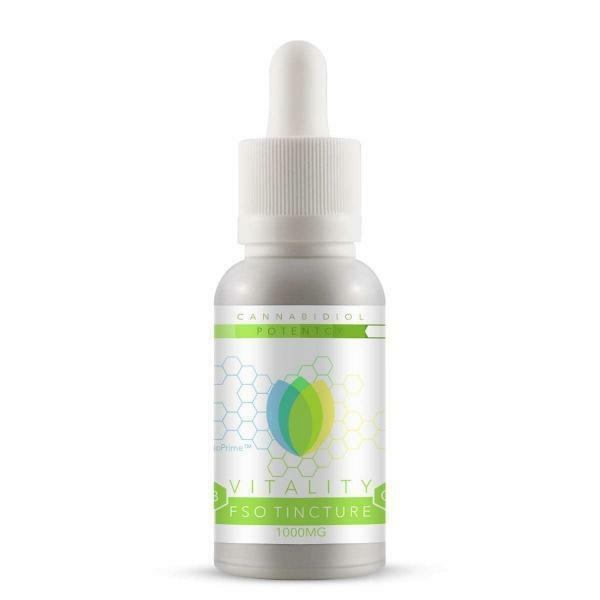 Vitality LifeElixir™ sublingual delivery CBD Full Spectrum Oil – FSO tinctures fortified with BioPrime™ nano-particle delivery technology are up to 100X more BioAvailable than competing products using standard CBD molecules. In addition to the enhanced benefits of our BioPrime™ nano-particle CBD delivery technology Vitality LifeElixir™ FSO tinctures are also bio-enhanced, for full “entourage effect”, with of our proprietary blend of 9 natural industrial hemp derived terpenes including Myrcene, Ocimene and Humulene. 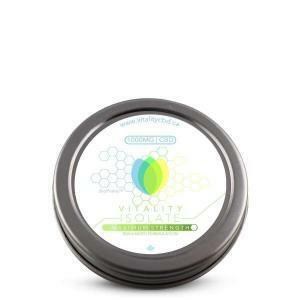 Vitality LifeElixir™ CBD Full Spectrum Oil – FSO sublingual tinctures are available formulated in your choice of non GMO MCT (Medium Chain Triglyceride) or organic non GMO Hemp Oil carrier oil base for those looking for even more complete plant profile CBD supplementation. 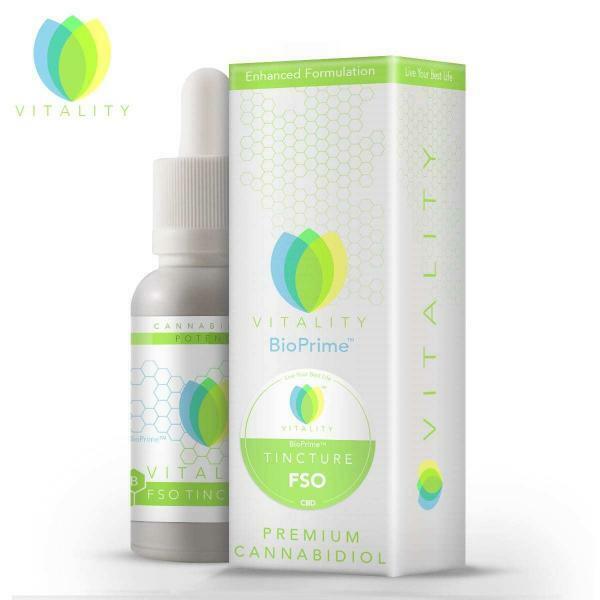 Vitality LifeElixir™ CBD Full Spectrum Oil – FSO sublingual tinctures are available formulated in your choice of organic non GMO MCT (Medium Chain Triglyceride) or organic non GMO Hemp Oil base for those looking for even more complete plant profile CBD supplementation. Over the past few decades, informed consumers have begun a major shift away from synthetic pharmaceutical drugs with their long lists of debilitating side effects, in favor of health-enhancing natural remedies. Cannabidiol, CBD, from hemp is providing that all-natural solution for many, and word of its success at providing an amazing variety of therapeutic benefits for a host of physical and mental disorders is being spread by the many grateful users who consider CBD from natural hemp oil to be a godsend. What was once a rare gray market staple of head shops has now gone mainstream as CBD finds its place in beauty aisles, physical fitness regimens, and even doctors’ offices. Organizations such as Athletes For Care* and the MMA are endorsing CBD for professional sports training, concussion, and injury recovery, citing the need for alternatives to addictive opiates and opioids for long-term pain management. Singer Olivia Newton-John has publicly endorsed CBD as part of her 3-decades-long battle against breast cancer. The singer uses CBD in conjunction with traditional treatments such as chemotherapy and targeted radiation and has founded the Olivia Newton-John Health and Wellness Center to promote CBD for the fight against cancer. Research on cannabidiol, what was once mistakenly thought of as “the inactive cannabinoid” explains just how CBD can work so well for treating such a wide variety of ailments. The key to CBD’s success is the exciting discovery of the endocannabinoid system in humans and in fact, all mammals. As it turns out, we already have natural, or “endogenous” CBD in our systems working to our benefit, hence the term “endocannabinoid”. 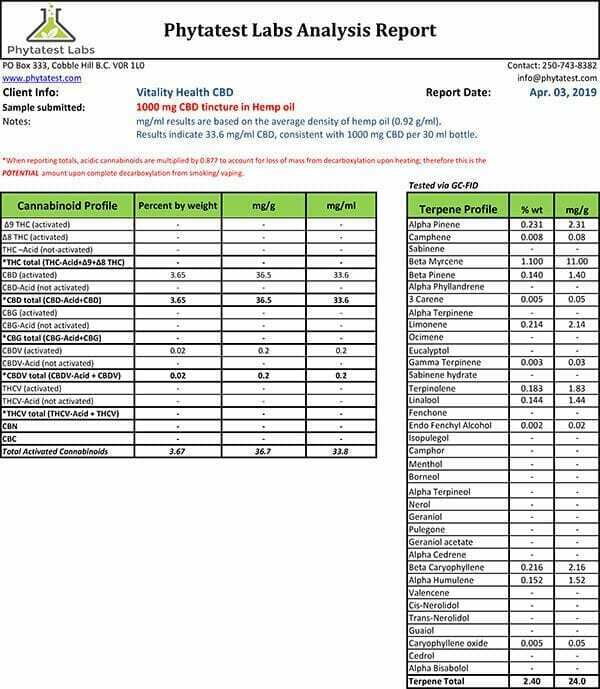 This is why CBD from hemp is considered to be a supplement and not a drug. When we take CBD from hemp we are merely supplementing our body’s own natural supply of CBD, not introducing any foreign chemical substance. Scientists refer to this as “manipulating the endocannabinoid system by raising the CBD baseline”. The endocannabinoid system (ECS) is centered in the limbic and paralimbic regions of the brain, vitally important areas which just happen to control critical functions such as sleep, mood, immune response, inflammation and injury response, memory, anxiety, and stress response. The ECS also includes an extensive network of CBD receptors throughout the body, which form a complex biocommunication feedback system for regulating biological processes and maintaining an optimized state of well-being which scientists call “homeostasis”. We can begin to see now, how CBD can be so effective for such a wide variety of conditions and disorders. CBD’s known beneficial properties have been proven in preclinical laboratory research with animals, which identified the cannabinoid’s exciting healing potential. Preclinical findings can help explain the enormous volume of testimonials about successful treatments which CBD consumers have endorsed publicly in numerous online reviews and forums around the world. Antiemetic- CBD is known to reduce nausea and vomiting. This is just one of the characteristics which makes it so beneficial as a part of traditional cancer treatments such as strong chemo and radiation therapy where nausea is the most frequent unavoidable side-effect of treatment. Antitumor- CBD has been shown to block the blood vessels which cancer cells need to survive. Research with mice shows that CBD’s antitumor action can kill tumors and cancer cells without harming the healthy cells around them. Anticonvulsant- CBD has proven to be very successful at suppressing seizure activity. In 2018 the FDA approved a purified CBD* drug for treatment of seizures caused by epilepsy in children. 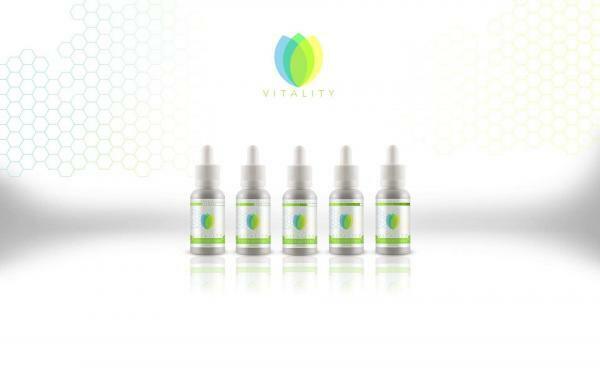 Anxyolitic/Antidepressant- CBD combats anxiety and depression disorders. Bear in mind that the ECS functions in the limbic and paralimbic regions of the brain which control these responses. Anti-inflammatory- This CBD action can reduce inflammation (swelling) and pain from arthritis, muscle stress, spasms, dental pain, gout, backache, and other inflammatory conditions. That’s no surprise to the fortunate people who have tried CBD for themselves. Pain relief is among the most common reasons for trying CBD, along with insomnia, depression, and anxiety. Forbes reported on a combined survey by Brightfield Group and HelloMD which showed that nearly half of those who try CBD stop taking traditional OTC medicines such as Tylenol, and addictive prescription drugs such as Vicodin. 80% of those who tried cannabidiol as an alternative analgesic characterized CBD as either “very or extremely effective”. After a quick look at the long list of serious side effects associated with opioids such as Vicodin and Percocet, it’s easy to see why those who have discovered the many health-enhancing benefits of cannabidiol choose to leave these risky Schedule 2 narcotics behind them permanently. Along with increased anxiety, unpredictable mood changes, loss of coordination, constipation, seizures, rapid heartbeat, nausea and vomiting, opioids also carry a dangerous risk of dependence, addiction, and fatal overdose. CBD on the other hand, is often sought out to alleviate the very conditions induced by opiate and opioid use. Working in natural harmony with the body’s own endocannabinoid system CBD promotes optimized homeostasis, a state which some scientists refer to as “the Goldilocks Zone”, where all physical and mental systems are “go” and everything is just right. Many CBD users have been pleasantly surprised when they begin a CBD regimen to alleviate specific pain or inflammation symptoms, and then find also that anxiety is reduced, stress is more easily managed, sleep, blood pressure, and heart health improve, and they are enjoying an overall sense of well-being which they had never expected. The life sciences sector has long been anticipating an expansion of the cannabis industry, including both cannabinoids, CBD from hemp and THC in medical marijuana to reach $20 billion by the year 2020, but CBD’s incredible rise in popularity has taken market experts by surprise. If growth continues at the current pace, CBD from hemp alone will outpace marijuana and spin off into an astounding $22 billion market by 2022, as reported by cannabis industry analysts The Brightfield* group. According to a recent Rolling Stone exclusive report*, CBD has found its way into a wide array of products including topicals for bug bites, skin care, and face masks. The benficial therapeutic oil is being used for everything from MS, PTSD, epilepsy, anti-inflammation, to cancer-fighting, post-injury recovery, athletic training, stress and pain management and it provides all of these benefits without getting the user high. CBD’s non-psychoactive action is an important factor as part of a health regimen for users with an active lifestyle and those working under drug-free employment policies which rule out THC-laden marijuana. CBD from hemp has less than .03% THC. CBD is also found in marijuana, but the benign non-psychoactive cannabinoid actually moderates the mental high caused by its THC cannabinoid cousin. It is literally the “buzzkill” component in marijuana which keeps the psychoactive action of THC regulated. CBD is also one of the safest substances a consumer can keep in the medicine cabinet. With no risk of fatal overdose, it’s safer than aspirin and many other popular OTC medications, which is an important consideration for consumers with young children in the household.